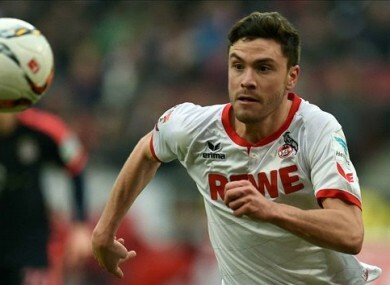 GERMANY INTERNATIONAL JONAS Hector says he could be persuaded to move to Liverpool by manager Jurgen Klopp. The defender, who plays for Cologne in the Bundesliga, has been linked with a move to Anfield in recent weeks, as Klopp seeks to overhaul a defence that has leaked 40 goals in 29 games this season. Hector, whose current deal expires in 2018, has won a total of 10 caps for Germany and could feature for Joachim Low’s side in this evening’s prestige friendly against England. And the 25-year-old admits that he could leave Cologne in the coming months, saying a call from Klopp could see him make a move to Anfield. “You always have to consider whether you are ready to take the next step. But at the moment I am not thinking about it,” he told Eurosport. Email “German international defender admits he'd consider Liverpool offer”. Feedback on “German international defender admits he'd consider Liverpool offer”.